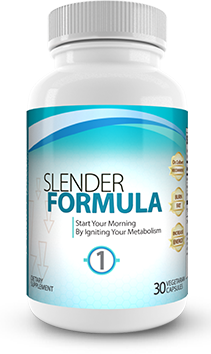 Slender Formula 1 is a high-quality vegetarian supplement recommended by Dr. Colbert for increasing energy and burning fat. Active ingredients include green tea extract, yerba mate, and vitamin B12. 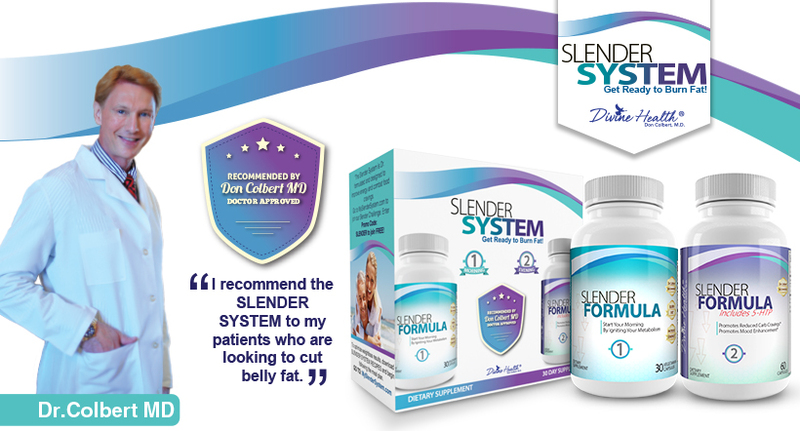 Slender Formula does not contain any yeast, gluten, soy, dairy, corn, sodium, sugar, or starch. It is also free of any artificial colorings, preservatives, or flavorings. Green tea extract is an herbal supplement derived from green tea leaves which are rich in antioxidants (GTC - green tea catechins). The extract has been used for countless years for a substantial number of practices. The biochemical properties of green tea extract include anti-oxidants (prevents free radical damage), anti-carcinogens (prevents cancer-causing agents), anti-inflammatories (minimizes inflammation), and anti-radiations (prevents radiation damage). Yerba mate is naturally made from rainforest holly tree leaves. 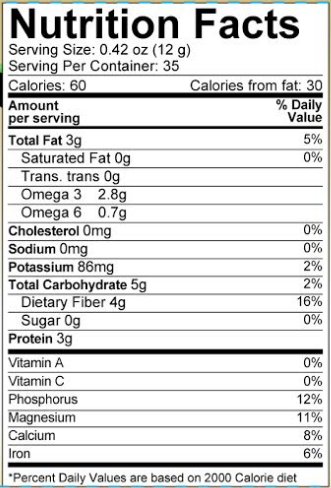 The leaves contain over twenty different vitamins and minerals along with more than a dozen natural amino acids. Yerba mate is rich in anti-oxidants and highly beneficial to the body. The people of the rainforest consume yerba mate regularly and hold high levels of invigoration, concentration, and nourishment. Polyphenols (flavonoids, phenolic acids), xanthine, and minerals are naturally found in yerba mate. Flavonoids and phenolic acids play an active role in fat metabolism. The mineral content of yerba mate includes potassium, magnesium, and manganese. Vitamin B12 is a much-needed nutrient which aids the body’s nervous system and offers a foundation for healthy red blood cell production. 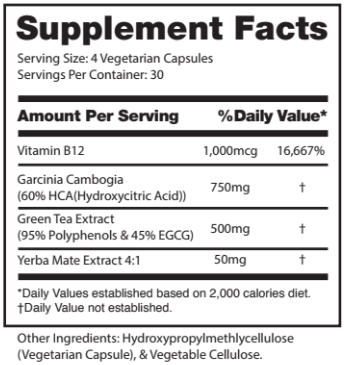 B12 is water soluble and involved in the metabolism of every cell in the body. 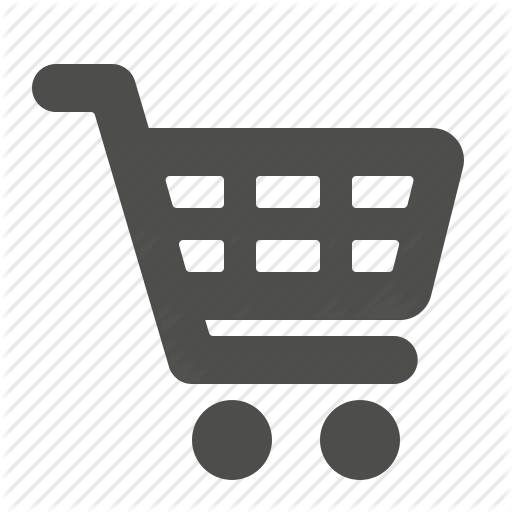 The vitamin also contains the rare element of cobalt. 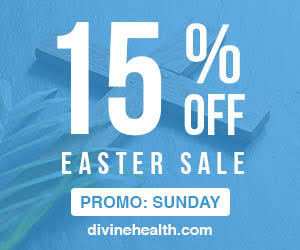 This vitamin is only found in animal proteins, or in natural B12 supplements. Since the body cannot produce the nutrient, vitamin B12 must be consumed on a regular basis to ensure ongoing optimal health. A deficiency in vitamin B12 can cause tiredness, weakness, vision challenges, nervous system problems, and memory loss in the individual. 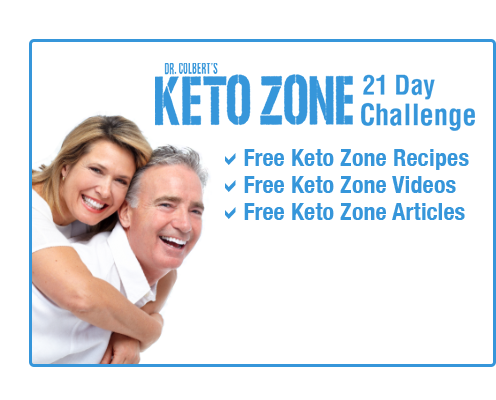 If the body is low in B12, it may also result in poor memory, depression, confusion, and anemia. 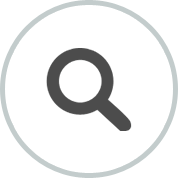 (5-hydroxytryptophan) is an amino acid derived from the seeds of Griffonia simplicifolia. It plays an important role in the production of serotonin. 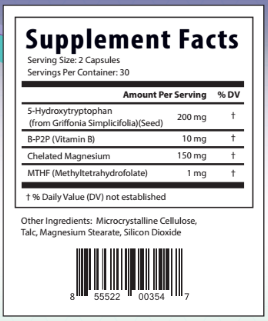 5-HTP is the precursor to serotonin from tryptophan. Serotonin is a neurotransmitter (a chemical that sends a message from one nerve to another) known to play a major role in mood. Low levels of serotonin have been associated with mood disorders. deficiency. Pyridoxal is also an important cofactor in the production of AADC (L-amino acid decarboxylase), which converts 5-HTP to serotonin. A study done in 2004, suggests that low Pyridoxal levels?may be related to symptoms of a mood disorder. Magnesium insufficiency, like vitamin B6, can inhibit tryptophan hydroxylase. Both calcium and magnesium deficiency are known to cause mood disorders and anxiety. Studies also suggest a link between folate (folic acid) deficiency and impaired metabolism of serotonin, dopamine, and noradrenaline. 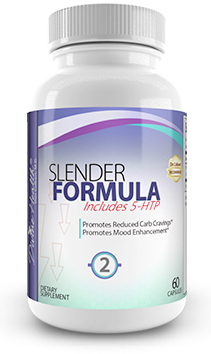 You Should not take Slender 2 if on a anti-depressant, unless you are under the care of a physician. 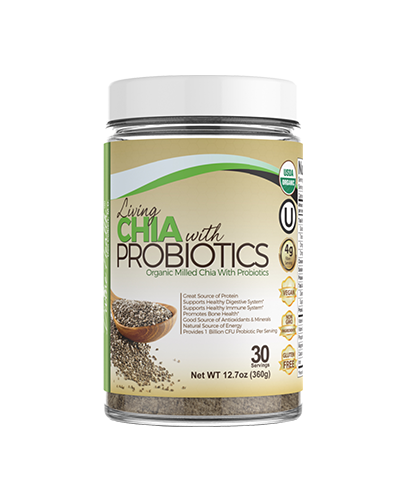 Living Chia With Probiotics is the perfect formulation to provide an advanced combination of probiotics, omega-3 fatty acids, fiber, and protein all in one product. Our chiagoes through a strict quality control process from sowing until harvest, cleaning and packaging. 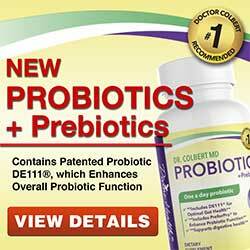 It is then blended with probiotics to offer the ideal blend to fuel better nutrition and quality of life. 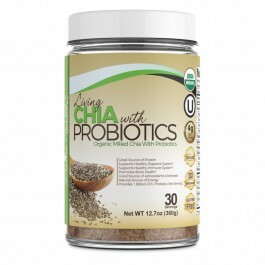 Living Chia With Probiotics contains a unique strain of probiotic called IS-2 Bacillus Coagulans. This strain differentiates itself from other probiotics by its ability to survive the manufacturing process, stomach acids, and bile salts providing you with a beneficial probiotic. Pesticides are avoided to ensure that the best seeds are distributed and consumed. 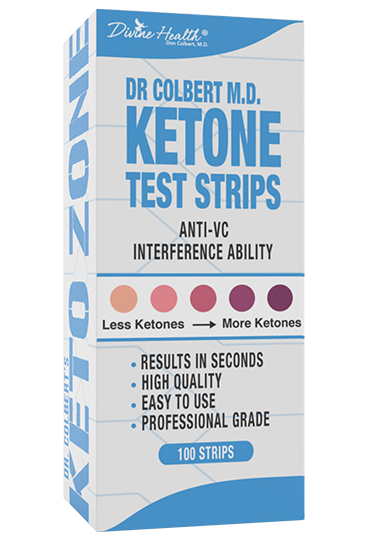 Dr. Colbert Keto Zone Ketone Test Strips are easy to use and clinically tested for accuracy. Clearly read results using the color chart on the vial or automated strip readers for quantitative results. These strips are available in many combinations, ranging from specific single tests to nine or ten parameter tests. Each unopened vial of 100 individual test strips has a long shelf life. See the chart on the specifications link below to select the test combinations to suit your needs.